We are Lisa and Peter from Sweden. In early 2015 we became the happy owners of Hotel Migjorn. It concluded a 2 year search after exactly this kind of hotel. It was instant love, and we knew already after a few minutes that this was it. We have had a holiday home in Mallorca since 1995 and have over the years come to love the island with its fantastic diversity. With both children having moved away from home, and after having worked in the pharmaceutical industry for nearly 25 years, we decided that it was time for a life change. 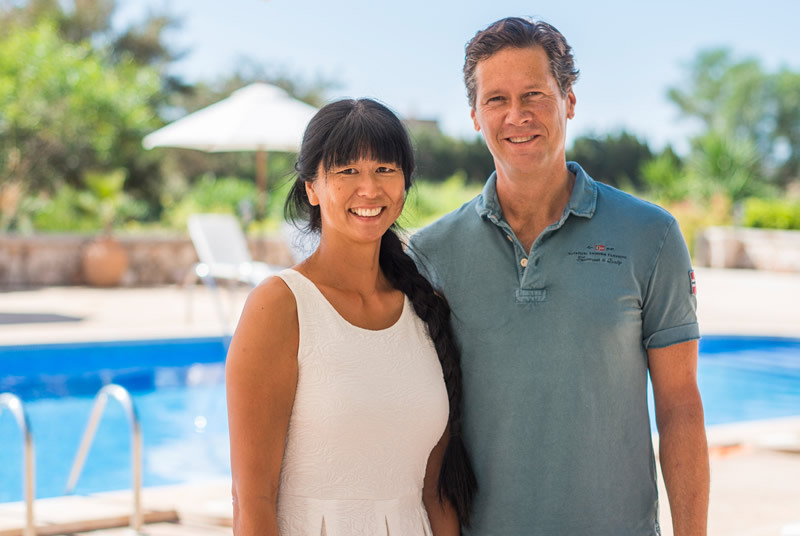 Being fed up with the Swedish weather and office work, we soon pictured us living in Mallorca, working in our own small finca hotel. Together with our dedicated and fantastic staff and wonderful guests we enjoy every minute of it.